A high-performance, distributed memory object caching solution. This new Refcard provides you with basic configuration information for servers and client-side commands to use memcached as a caching solution for your applications. Begin your installation, learn useful commands, and see what tools are available to help monitor and troubleshoot. The PORT value specified in the above configuration file is the same for TCP and UDP ports. MAXCONN represents the maximum number of concurrent connections for memcached. Changing it to a higher value is generally ok. Use the stats command to look for the listen_disabled_num attribute. The value for this should be zero. If the number is higher, it indicates that connections have been dropped, and you should then consider increasing the MAXCONN value. Running multiple instances of memcached on the same server is simply a matter of changing the port that memcached is listening on. Commands can be run from this telnet session, as outlined in later sections of this Refcard. Note that your client-side code must be written to take advantage of memcached; it is not a transparent implementation, and as such, caching is not done automatically on the server-side. Libraries are available for the most popular programming languages so you can use memcached in your application, as can be seen in the following table. The commands outlined in the following sections will be exposed as functions in these libraries. Some client libraries will allow you to apply weight to preferred servers, either by applying a weight value, or by adding that server multiple times to your client configuration. An auto-discovery feature of a memcached client allows you to discover the nodes within the memcached cluster so their IPs do not need to be hardcoded within the application. This is a very useful feature to enable dynamically supported topology changes. key Name of the unique key that will be used to access the data. Limited to 250 bytes. flag A 32-bit space stored alongside the main value. Many sub libraries make use of this field, so in most cases it should be avoided, by setting 0 as the flag value. exptime Expiration time in seconds of the data stored in cache. Use 0 to never expire. Using more than 30 days will be interpreted as a UNIX timestamp for an exact date to expire. bytes The length in bytes that needs to be allocated for this value. noreply Optional parameter that ensures no reply is sent from server following command execution. value Value to be stored, which needs to be provided in a new line following the set command with options. unique_cas_token A unique token number which can be retrieved using the gets command. Set is the main command that you will use when adding data to your data store, which simply assigns a value to a given key. This command may overwrite existing data. The new items are at the top of the LRU. Stores the value provided only if it does not already exist. New items are at the top of the LRU. If an item exists, and the add command fails, the item is placed to the front of the LRU anyway. Stores the value provided only if it already exists. Add this value after the last byte in an existing item. If the specified key does not exist, the command will fail. Prepend this value before the first byte in an existing item. If the specified key does not exist, the command will fail. Stored data but only if no one else has updated the data since you read it last. Abbreviation for “Check And Set” (or “Compare And Swap”). This command is useful to resolving race conditions on updating cache data. If the unique_cas_token for the item has changed since you last retrieved it (using gets) it will not be stored. The following commands allow you to retrieve values from your memcached store. Command for retrieving data for a given key, or set of keys. If a key does not exist, no value is returned. Get command to be used with CAS, which returns the unique_cas_token with the item. ICommand for retrieving data for a given key, or set of keys. If a key does not exist, no value is returned. Removes an item from the cache if it exists. These commands will either increment or decrement the numeric value of an existing key. These commands will only succeed where the key is a numeric value. Invalidates all cache items in your memcached server. This command takes an optional time parameter, which allows you to instruct memcached to clear this data after a number of seconds. The following commands allow you to inspect settings on the memcached server. Stats commands give some insights on how performance of your setup could be tuned, as well as monitoring the overall usage of the cache. The basic stats command which returns values for server uptime, memcached version, number of connections, number of items, and other traffic-related statistics. Returns information about items stored in memcached, broken down by slab id. Returns values for items, age, cache eviction. Returns information about items stored in memcached, broken down by slab id. Values returned in this command are more focused around performance such as memory usage, allocated memory, and number of free chunks. Illustrates how items would be distributed if broken into 32 byte buckets instead of your current number of slabs, helping you to determine how efficient your slab sizing is. Command line tool that displays real-time stats from memcached, displaying the results in a view similar to top. This tool can only monitor a single memcached instance at a time. Results include I/O throughput and evictions per second along with gets and sets per second. A standalone web-based application that displays memcached stats, including details on server slabs, memory wasted, and item key values. You can execute commands on a memcached server from this interface. Allows the monitoring of multiple memcached instances. A single-page Sinatra memcached manager/admin that allows you to read stats, view, edit, and create keys from memcached. Can easily be plugged into a Rails/Rack app and can work with multiple instances of memcached. Replication is not supported out-of-the-box in memcached, as it is designed to be a transient cache store. However, replication can be achieved through some third-party solutions. Repcached allows you to have a redundant memcached installation running on another server. This is done by applying a patch that adds a new –x parameter, which accepts the IP address of the other server. Note that each server will need to have a link to the other. Developed mainly for session storage, yrmcds (Ymmt’s Replicatin MemcacheD for Sessions) is completely compatible with memcached, and as such, can be used as a drop-in replacement. To enable replication, a virtual IP address needs to be specified along with the configuration of clustering software such as keepalived. 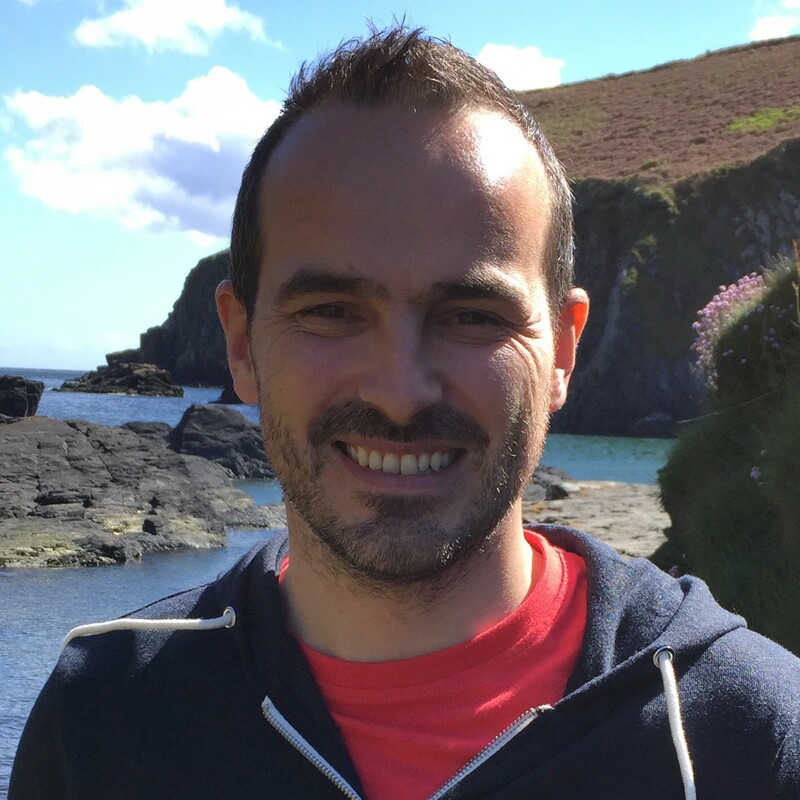 A lightweight proxy for memcached as well as Redis, built by Twitter to reduce the number of open connections to cache servers. Requests to a pool of memcached instances go through this proxy. Using two twemproxy instances, traffic can be directed to both a pool of slaves, as well as a pool of master instances. From stats, take note of the evictions count, which shows the number of non-expired items that were removed from the cache to make space for new items. If this number is high, it indicates that the memory allocated for items storage is too low. The default number of threads is 4, and for most cases should not be changed. Using a single thread will be too slow, and more than 8 threads can lead to high lock contention. Retrieve values in bulk when possible rather than doing a number of get calls in series. Compressing large values will speed up your application as there is less data being transmitted over the wire, and less memory being used when storing the value in memcached. Most clients support enabling or disabling compression using either an item size threshold or even on a per-item basis. When initializing memcached, you can prepopulate the cache with keys, meaning your application will have less cache misses in its initial execution after a redeploy on the server. The ports on which your memcached instances are running should not be exposed to the internet as a rule. Since version1.4.3, SASL (Simple Authentication and Security Layer) is included. Note that SASL restricts access to the daemon but does not hide communications. Tip: Enable SASL on memcached by using the –S flag on startup. Following this, all commands require that authentication be successful before they are issued on a connection. Never run memcached as root. If someone did gain access to memcached and there was a security vulnerability, then they would be able to compromise your machine and network. Use a firewall to limit which connections are open to the outside world. If you are running memcached on a single server, then you can bind the instance to localhost using the –l parameter, restricting cache access to just that machine. memcached is defined as “a high performance, distributed memory object caching system, generic in nature, but originally intended for use in speeding up dynamic web applications by alleviating database load” by memcached.org. memcached works by caching data in RAM so that the number of times an application has to read an external data source is reduced. The in-memory key-value store can be used for data that would be returned from database or API calls. On top of all of this, memcached allows the cache load to be distributed across servers. However, as the data is stored in memory by default, when the server is restarted, memcached will re-initialize with an empty dataset. 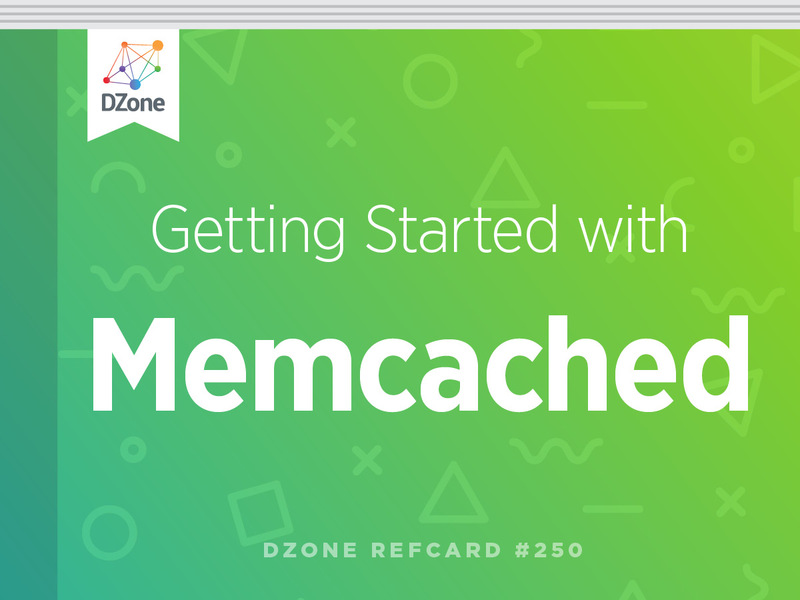 This memcached Refcard provides you with basic configuration information for servers and client-side commands to use memcached as a caching solution for your applications.